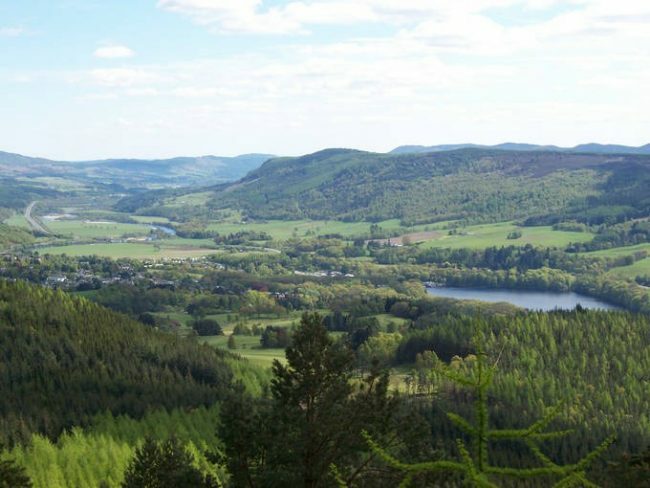 Perthshire’s woodlands are hard to beat for beauty, but take a climb to the top of Craigower and you’ll be spoilt for views. The glassy pools of Loch Tummel and Loch Rannoch lie still, while in the distant west rise the stately peaks of Glencoe. At 407m (1,335ft) it’s less challenging than a Munro, but the short, steep climb to the top of Craigower is worth the effort as the open heathland gives the summit panoramic vistas. Further below, the scattered Scots pine trees are home to rare butterflies in the summer months. Scramble around the lower levels or take a deep breath and go for the peak.